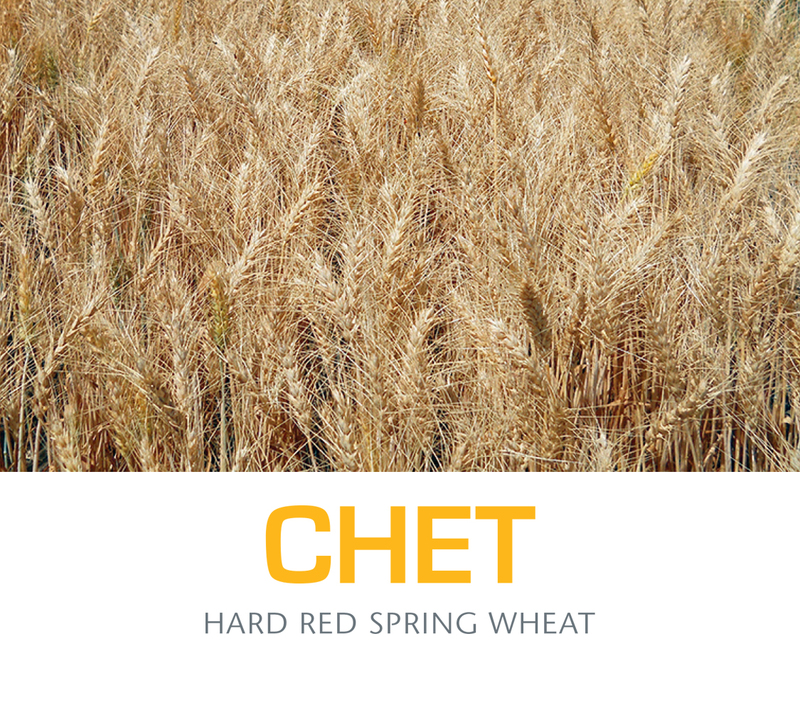 Chet, a tall hard red spring wheat from Washington State University, is our best variety option for low-rainfall areas of eastern Washington and Oregon. Chet has very good adult plant stripe rust resistance, Hessian fly resistance, excellent test weight, very good aluminum tolerance, tall plant height with good straw strength, and very good-to-excellent yield potential across low rainfall areas of the PNW. Chet should replace Hollis and Kelse acres in low rainfall areas due to superior yield, test weight, protein content, and stripe rust resistance.